Mukesh Ambani, the chairman of Reliance Industries, is the richest person in Asia with a net worth of $42.1 billion as per Forbes' real-time billionaire's list on November 1. Mr. Ambani overtook Hui Ka Yan, the Chairman of China's Evergrande Group in the rankings after his wealth grew by $466 million owing to 1.22 per cent rise in the shares of Reliance Industries. Globally, Mukesh Ambani stood at the 14th spot on Forbes' real-time billionaire's list. His rank is evaluated on the basis of the value of his stock holding and assets on a real-time basis, Forbes said. To put it in context, Mukesh Ambani's wealth is equal to the entire GDP of the former Soviet republic of Azerbaijan, as per World Bank Data 2016 estimates," Forbes said. Meanwhile Hui Ka Yan's wealth slumped by $1.28 billion to $40.6 billion on Wednesday. Reliance Industries is the country's most valued firm with a market capitalisation of over Rs 6 lakh crore followed by TCS, HDFC Bank, ITC and HDFC in the top five list. The company's market valuation had first crossed the 6 lakh crore mark on October 24 on the NSE. 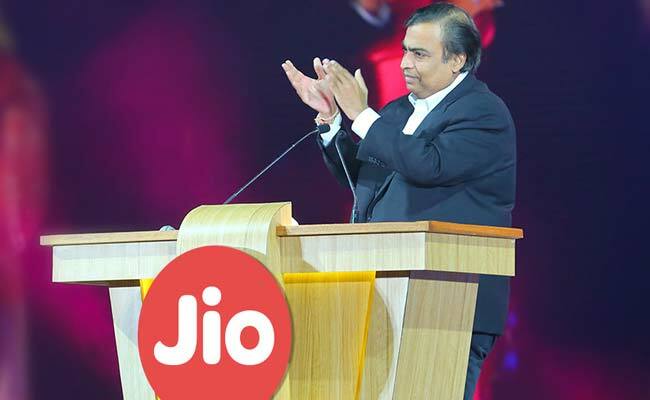 The Mukesh Ambani-led oil-to-telecom conglomerate Reliance Industries Ltd had earlier posted a 12.5 per cent increase in consolidated net profit to Rs 8,109 crore in the September quarter. With a net worth of $93.3 billion, Amazon founder and CEO Jeff Bezos raced past Bill Gates to become the world's richest man. Microsoft co-founder Bill Gates ranked second with his $89.5 billion fortune. Facebook founder Mark Zuckerbeg stood at the fifth spot with a fortune of $75.8 billion. In India, at $19 billion, Wipro's Azim Premji was ranked the the second richest Indian.